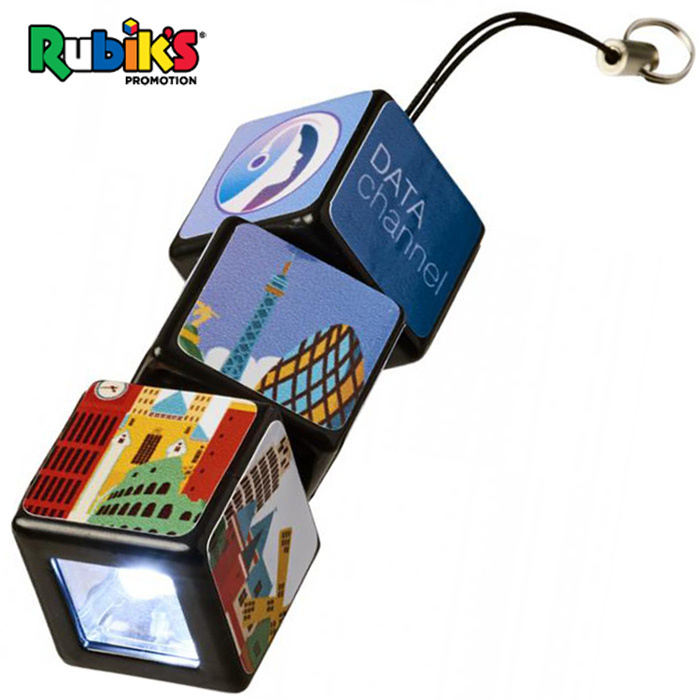 3 cube puzzle that twists & turns and features an ultra bright 1 LED bulb in the end square. 12 squares in total that can be personalised / printed in any colour you wish (please note that the Rubik's logo must appear in 1 square of the finished design). Price includes a full colour print onto each sticker. Small keyring attachment & button cell battery included. Dimensions: 60 x 20 x 20mm. Print area: 58 x 17mm (per 3 squares / side).